We visited Gran Canaria a couple of weeks ago and we saw lots of interesting plants, many of them unknown to me, but I think I have managed to identify most of them. There were three plants, however, which I need help with, and I wonder if anybody on this forum know them. I know they are not exactly Mediterranean plants, but I am still trying. They were all found in a mountain area on the north-west coast. The top one is a small bush, with yellow flowers, I know which family it belongs to, but can't get any closer. 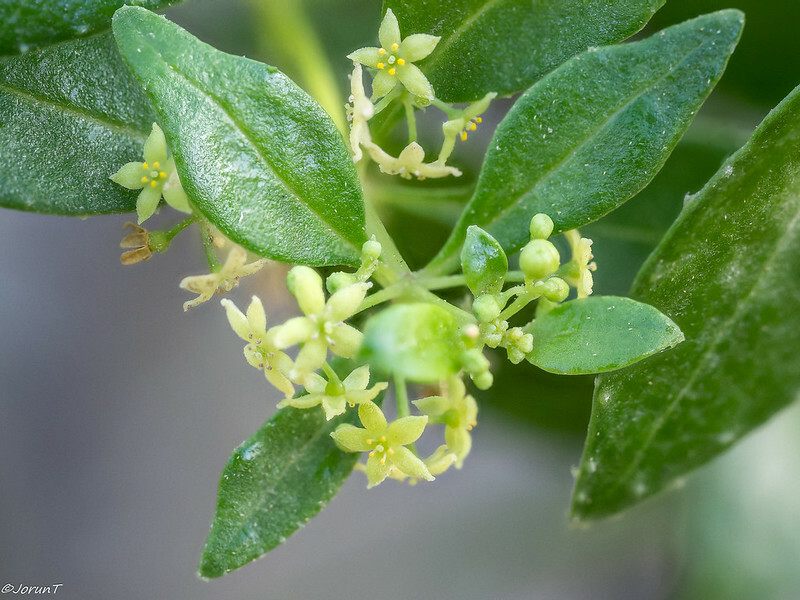 The middle one was also a bush, with many very small, greenish/yellowish flowers, thick leaves. 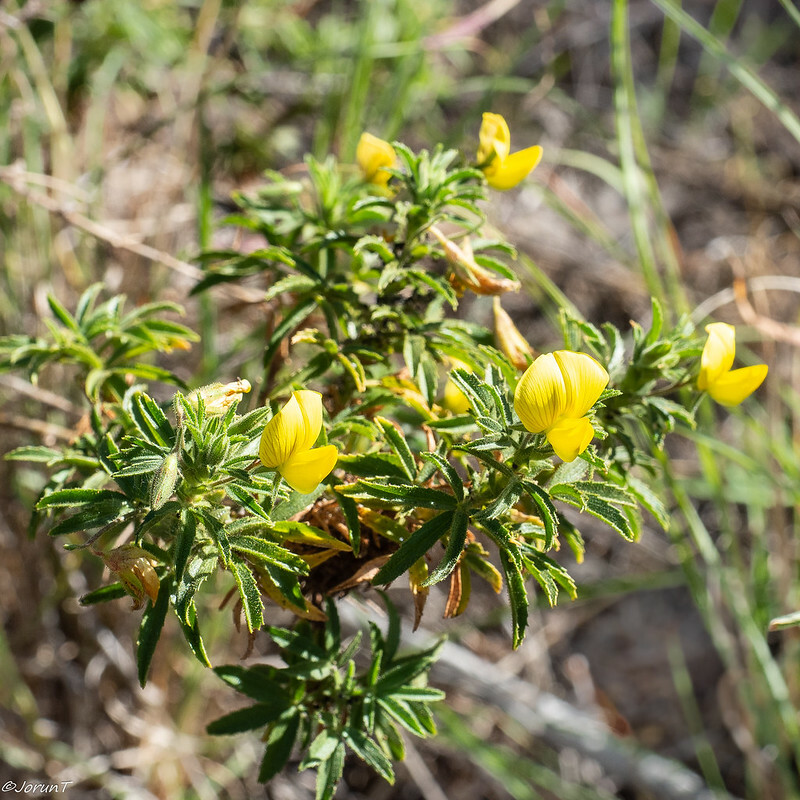 The third was a tiny plant with even tinier flowers, you really couldn't see them properly without a lense, the flowers were either yellow (male?) or pink (female?). The leaves were hairy. Jorun, the bottom one looked to me rather stapeliad-ish, and the middle one rather asclepiadish, but I don't really have a clue. So I asked Chris Gardner - who will be taking a number of us from the Mediterranean Garden Society to Tenerife and Gomera next week - if he could advise. 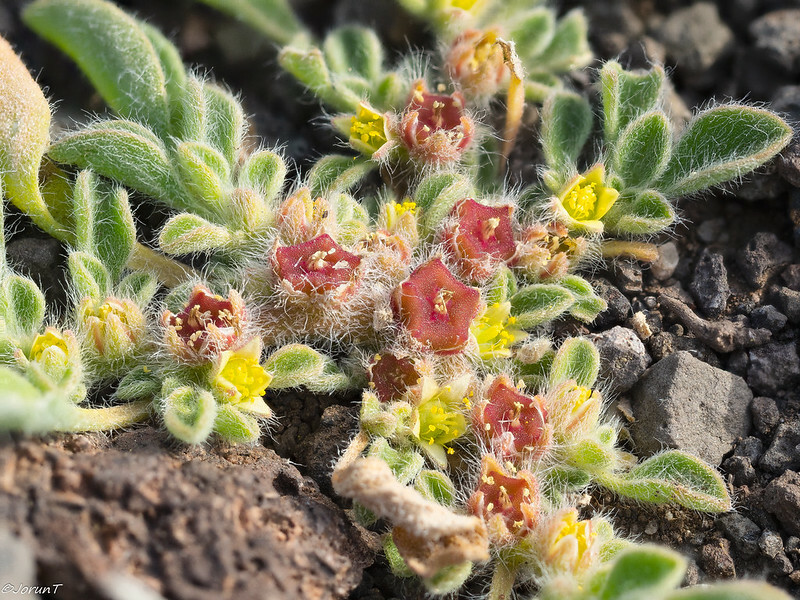 He says the first picture is Ononis angustissima, and thinks that the last two are probably members of the Chenopodiaceae, which he says the Canaries are rich in them. But he adds that the large number of introduced species adds to identification problems there. Thank you to both Alisdair and Chris Gardner. I agree, Ononis angustissima seems to be spot on for the top plant, but the two lower ones are still a mystery, in spite of all the hints. 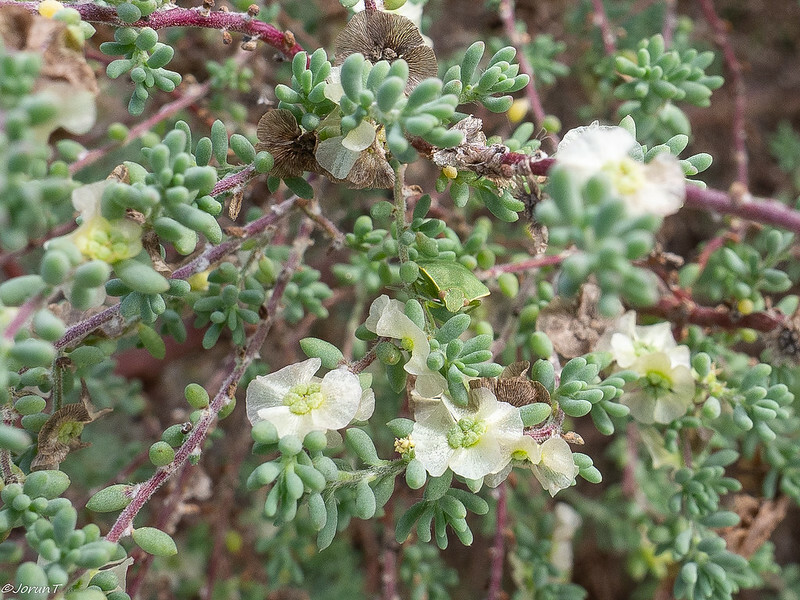 But while using these to search for more help, I managed to find the correct name of another bush, Maireana brevifolia. 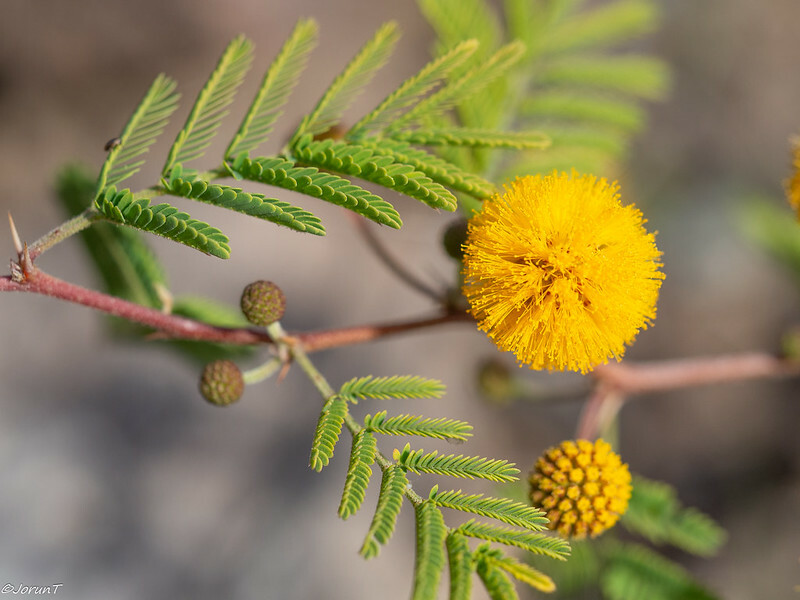 Chris is right, I found many plants in the wild which had been introduced, one of them is Acacia farnesiana. They planted 40 plants about 50 years ago in southern Gran Canaria; a study from 2010 (https://www.researchgate.net/publication/225497848_Invasion_of_the_Gran_Canaria_ravines_ecosystems_Canary_Islands_by_the_exotic_species_Acacia_farnesiana) showed that this shrub is spreading to new areas very quickly and the authors strongly suggested that managers of this area consider a management program to control further spread. If anything has been done to restrict the spread, I dont know.